Hessdalen is the place to be in order to experience one of the most exciting and challenging attractions a mountain village in Norway can offer. The light phenomenon in Hessdalen still «lives» on as unexplained after thirty years of research. People - from near and far - visits the area in the hope of seeing the phenomenon, and often they get to experience some of the mystique a majority of the villagers have learned to live with. We gladly share it with others, so you are most welcome! Hessdalen has numerous mountain peaks that surround the village. The picture is taken from Rogne, showing parts of the Vårhus and Hegseth-hamlet. Hessdalen is a typical v-shaped valley which is narrow in the outlet, but expands considerably at the Kjerrengvollen, where Grøtåa flows into Hersja. The settlement is in the main valley, but we also have the hamlets of Åspås, Borren and Grøtådal, the latter being without permanent settlement. 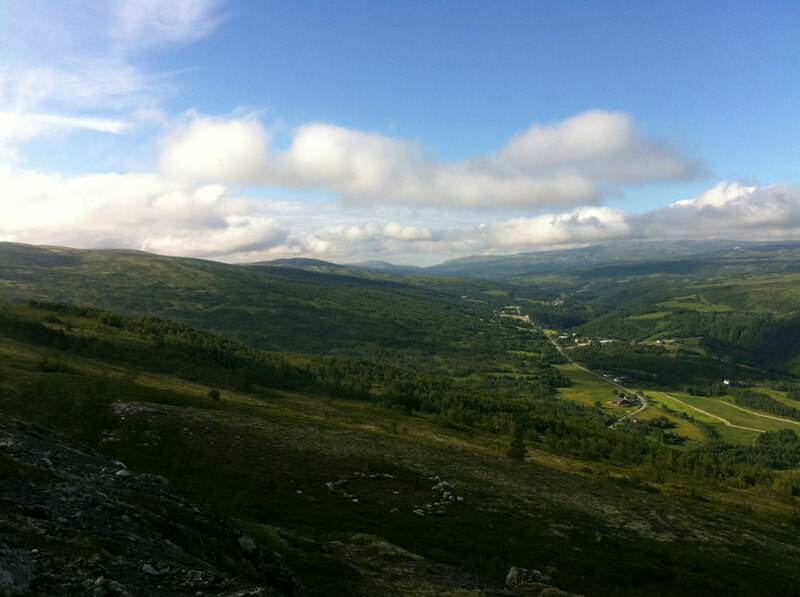 The valley divides at the southern end, and we can either go to Herssjøen or to Øyungen. These mountain farm valleys are popular areas for local inhabitants, and there have therefore been set up numerous new cabins in recent decades. But also in the actual Hessdalen there was built many holiday houses during the 1990s - and 2000's. Agriculture is the main industry in Hessdalen. The village has a total of 15 farms with a dairy program, sheep, beef cows or horses. The dairy farms are slightly below the national average in size. But to engage in intensive farms in a mountain village can be challenging. Thus some have chosen a supplementary occupation outside the farm, commuting to either Ålen or Røros.